There are four beautiful regions in Latvia – Vidzeme, Zemgale, Kurzeme and Latgale. 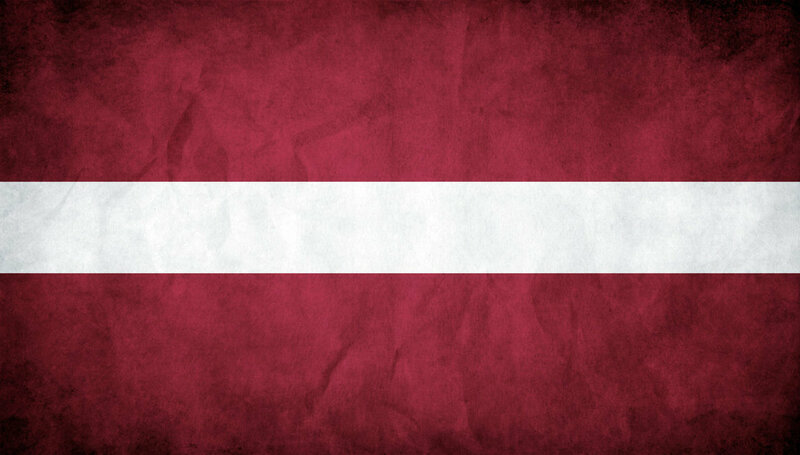 Latvia is locatedin north - eastern Europe at the shores of the Baltic Sea and is one of the three Baltic States. Latvia has an 1862 km long border. To the north Latvia borders with Estonia (343 km), in the east with Russia (282 km), in the south-east with Belarus (167 km) and in the south with Lithuania (576 km). The country also has a 494 km long sea border. 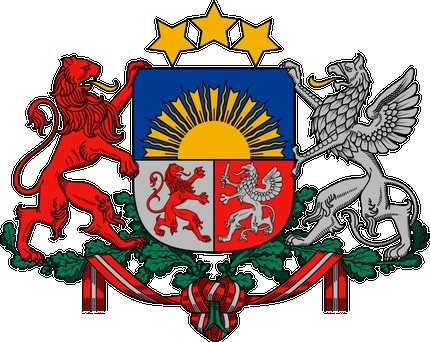 The territory of Latvia comprises 64 589 km2 and the population numbers around 2 million.Latvia is a democratic parliamentary republic established in 1918. The capital city is Riga, the European Capital of Culture 2014.Latvian is the official language. Currency: EUR.Latvia is a unitary state, divided into 118 administrative divisions of which 109 are municipalities and 9 are cities. There are five planning regions: Kurzeme, Latgale, Riga, Vidzeme and Zemgale. Vidzeme is located in the northeast of Latvia and borders with Estonia and Russia.Vidzeme is known for its natural beauty, the characteristic natural landscape only Vidzme has - mountains and valleys, forests and meadows, marshes and rivers. The highest mountain Gaiziņš (311.6 m above sea level) is in Vidzeme.Vidzeme has many ancient hill forts and medieval castles, which have survived from different periods of history - the Livonian Order castle in Cesis, Dikli Palace (built neo-baroque style,1896) near Valmiera, Araisu Lake Castle by Araisu Lake, which is the first archaeological open air museum in the Baltics, and many more historical palaces.While in Vidzeme, take a ride on the Aluksne-Gulbene narrow-gauge railway, as this rail link is the only narrow-gauge railway in the Baltic’s still in general use. Visit Valka city, which is one of the six cities in the world, where two country borders cross the city center - one half of the city is in Latvia, the other - Valga - in Estonia.Vidzeme is worth visiting if you like hiking alone or with family. The most beautiful walking and cycling routes are along river Gauja. It is one of the most beautiful rivers in Vidzeme (as well as the longest river in Latvia). Great boating opportunities for all who want to enjoy water tourism. Kurzeme is situated in the west of Latvia. From the western side Kurzeme is washed by the Baltic Sea, from the northeast - by the Gulf of Riga. Kurzeme has always been associated with the sea, sand dunes, prosperous towns, thick forests, mysterious marshes and picturesque landscapes.Kurzeme is known for its long beach and the cliffs of the Baltic Sea. Kurzeme beach stretches nearly 300 km in length. At these beaches will enjoy complete peace and serenity close to nature. Kurzeme seashore is relatively untouched and there are not many vacationers. Kurzeme will surprise your guests with a variety of sights. You can see in the seaside cities with port areas and wooden buildings, picturesque medieval towns with romantic and ancient streets and pubs, views of nature and of the past generation military heritage - Irbene locator, which has remained from the Soviet army and the Liepaja Naval Port built by the Russian Empire in the 19th and 20th century. Along the coast, many fishermen founded towns where you can taste local fishermen caught and smoked fish. Special attention deserves Kuldiga - one of the most beautiful towns of Kurzeme, with Europe’s widest waterfall - Ventas rumba, which is 240 m wide. Zemgale is located in the central part of Latvia - Zemgale Plain and has a long land border with Lithuania. Zemgale has broad fields, as its land has always been particularly fruitful, so that this region has well-developed agriculture and rural areas. 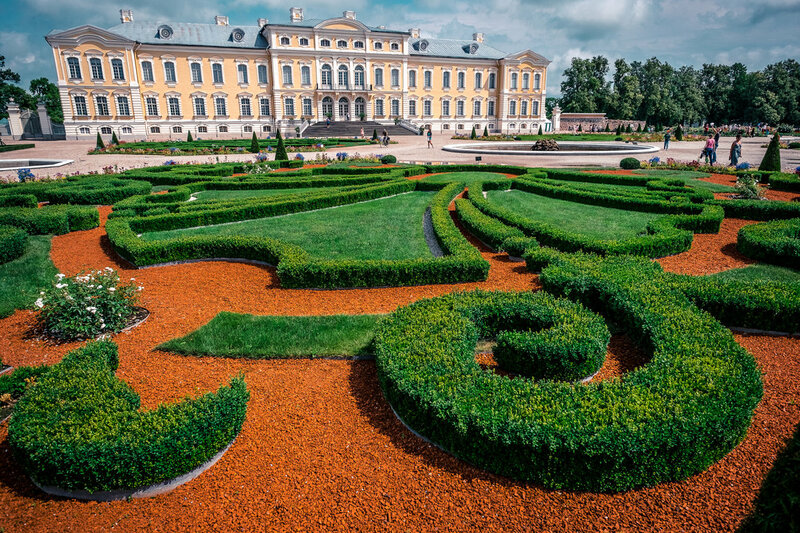 There are countless sightseeing points of interest - manors, castles, parks and great trees, reflecting the region's rich cultural history.Major attractions in Zemgale are Rundale, Bauska, Jelgava and Mezotne palaces, which are classical 15-18th century architectural monuments, as well as Krustpils palace and Koknese castle ruins.Definitely worth viewing is Tervete Nature Park with more than one hundred wooden sculptures made after Latvian writer’s Anna Brigadere fairy play themes. Visit the largest Lilac Garden in the Baltic’s near Dobele city and Pokaini forest with its stories about the supernatural abilities the stones of the forest have, as well as Tirelpurvs and Lozmetejkalns, which is one of the best preserved World War I battlefields in Europe, where you can see the Christmas battle memorials.A number of rivers pass through Zemgale - Daugava, Lielupe, Musa and Memele, which are actively used for boating and rafting. Enjoy the summer on water looking at the peculiar river caves of Skaistkalne area.There are interesting events taking place in the cities of Zemgale each year. For example - Country and Early Music Festivals in Bauska, European Championship Motocross at the "Musa" track and Ice Sculpture Festival in Jelgava. Latgale is located in the east of Latvia and borders with Russia, Belarus and Lithuania.Latgale is very different from the rest of Latvia. Not only the people's mentality, language and traditions are different, but also the rugged terrain and the landscape diversity of Latgale.Latgale also known as the "land of blue lakes", because here in the forests and grasslands, often invisible from the road, are hidden lakes, including the largest lake in Latvia – Lake Lubans (82.1 km2) and the deepest lake in the Baltics – Lake Dridzis (maximum depth 63 m), Ezezers with 36 islands and one of the clearest lakes in Latvia - Velnezers, famous for its distinct, Latvia native aquatic bluish-green water color.Latgale region is rich with its varied culture, and nowadays it is distinguished by the fact that Latgale remains the region where one of the Latvian language dialects is still spoken daily - "Latgale language".Latgale is also Latvias centre of Catholicism with the city of Aglona. 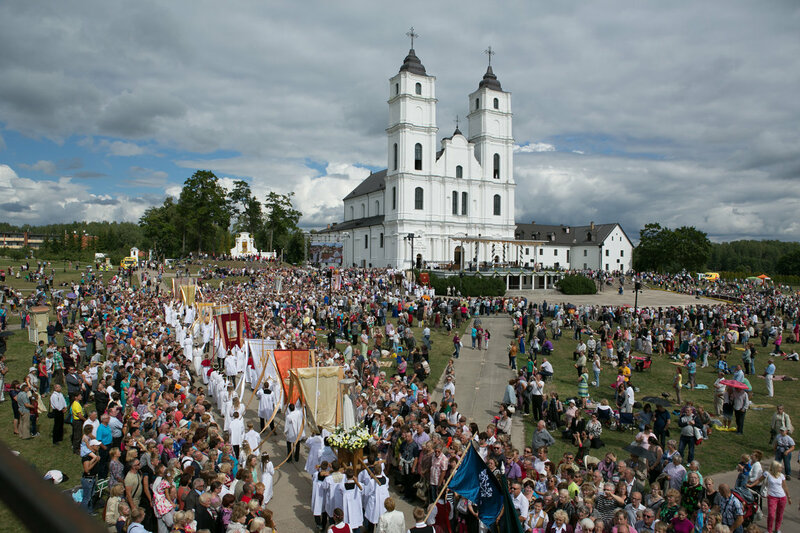 Each year August 15 pilgrims gather here to celebrate the Assumption of the Blessed Virgin Mary. In 1993 Pope John Paul II visited Aglona and held a Mass. The cultural heritage of generations is seen in many cathedrals and churches - Zilupe region Pasiene Roman Catholic Church (1761), originally built as a Dominican monastery church, In Kraslava region - more than 200 years old Indrica St. John the Baptist Roman Catholic Church and Berzgale wooden church, which is one of the oldest wooden churches in Latvia. By crucifixes at road junctions it is seen that religion confirms an important role in Latgale.While in Latgale, visit the museum of bread in Aglona, where you will find extensive information on baking traditions. Taste fresh baked bread and have a cup of freshly prepared green tea. Enjoy the beauty of Latvian nature at Daugava River Valley Nature Park "Daugava" which stretches from the western border of Kraslava to Naujene a total of 120 km2.We would say that as an unofficial symbol of Latgale, you can consider potter-made ceramics. In Latgale they are manufactured according to traditional processing techniques, and each potter has his own specific style.The Latgale region administrative center is Daugavpils, which is the second largest city in Latvia, but Rezekne is known as the "heart of Latgale". Riga region is located in the central part of Latvia with capital city Riga. 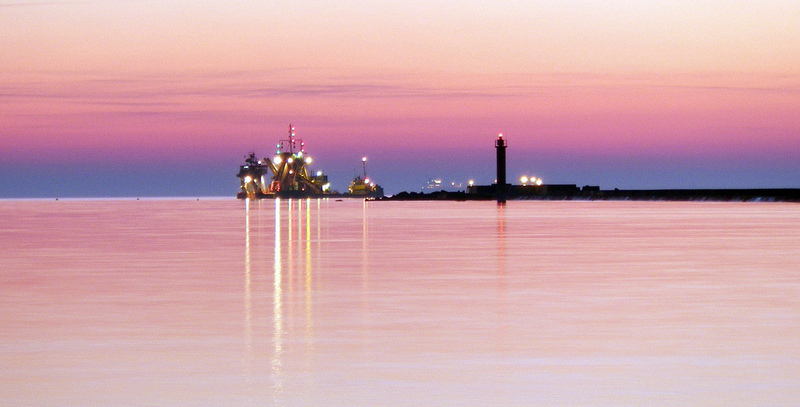 Riga is situated by the southern coast of the Gulf of Riga, by the Baltic Sea. Latvia’s largest river - Daugava flows through the city. 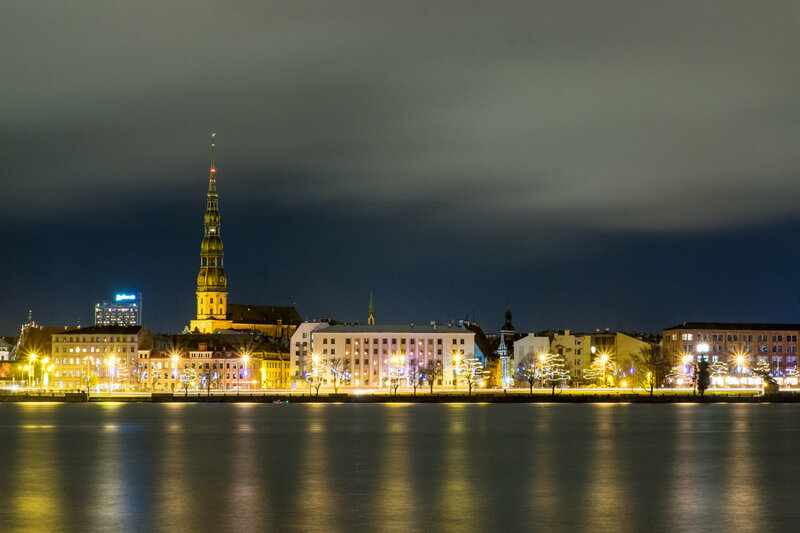 Riga was founded by German merchants in 1201, and it has been a Hanseatic town. Here, in Riga, on November 18, 1918 the Republic of Latvia was proclaimed. The Historic Centre of Riga is a UNESCO World Cultural and Natural Heritage, noted for its Art Nouveau/Jugendstil architecture and 19th century wooden architecture.The city is the European Capital of Culture during 2014, along with Umeå in Sweden. The city hosted the 2006 NATO Summit, the Eurovision Song Contest 2003, the 2006 IIHF Men's World Ice Hockey Championships and the Kaspersky Lab Riga Open Snooker tournament. It is home to the European Union's office of European Regulators for Electronic Communications (BEREC). Riga is served by Riga International Airport, the largest airport in the Baltic states.